Marty Murray, a candidate for 7th Ward committeeman, talks to Stacy Kistler while knocking doors in the Lafayette Square neighborhood of St. Louis on June 10, 2016. Updated July 21 with additional Mobilize Missouri endorsements. — The biggest races in August are getting all the attention. But a group of seats on the St. Louis Democratic Central Committee could prove to be just as important in the long run. Candidates from across the city have their sights on being committeemen and committeewomen, in an effort to push for change in the party now and at future elections. Every so often, new people emerge to challenge the old guard. This year, there seems to be a larger contingent built from what can be seen as a progressive agenda. They are, by and large, starting at the basic level of city political governance. Rachel Lippmann explains why some down-ballot races could end up being more important in the long run than the big-name contests. The existence of party committees is enshrined in Missouri law. There's a statewide committee, and one for each congressional district, judicial circuit, state Senate and House district, and county. "Each party committee shall be selected as provided for in this subchapter for the purpose of representing and acting for the party in the interim between party conventions." One committeeman and one committeewoman are selected from each ward in the city. To be eligible, a candidate has to be both a resident of and a registered voter in the county and the district they're trying to represent. To get on the ballot in St. Louis, candidates pay a $100 filing fee. There's no minimum age above voting age. Committee positions are unpaid, but they carry a fair amount of power. In addition to running ward-level caucuses to select delegates in presidential years, committeemen and committeewomen in St. Louis are in charge of selecting candidates to fill vacancies at the St. Louis Board of Aldermen and state legislative districts that include part of the city. That role in filling aldermanic vacancies has the potential to be incredibly important over the next few elections. One aldermen is running for sheriff. One aldermen is already running for mayor, and several others are interested. And as the reduction of the board to 14 from 28 approaches, some aldermen may start looking for other opportunities before their terms expire. The 15 or so candidates presenting themselves as reformers are not running as a slate, but they can be generally identified by the fact that they were endorsed by Mobilize Missouri. That group grew out of Bernie Sander's presidential campaign. It did not make choices in all 28 races. For committeeman, Rasheen Aldridge has the Mobilize Missouri endorsement to unseat incumbent Rodney Hubbard Sr. For committeewoman, Megan Betts is the group's choice over incumbent Penny Hubbard, who is Rodney Hubbard's wife. For committeeman, Matthew Carroll-Schmidt has the Mobilize Missouri nod over Michael Butler. For committeewoman, Alison Dreith has its support over Mary Entrup, who is married to Lewis Reed, the president of the Board of Aldermen. There are no incumbents in this race. 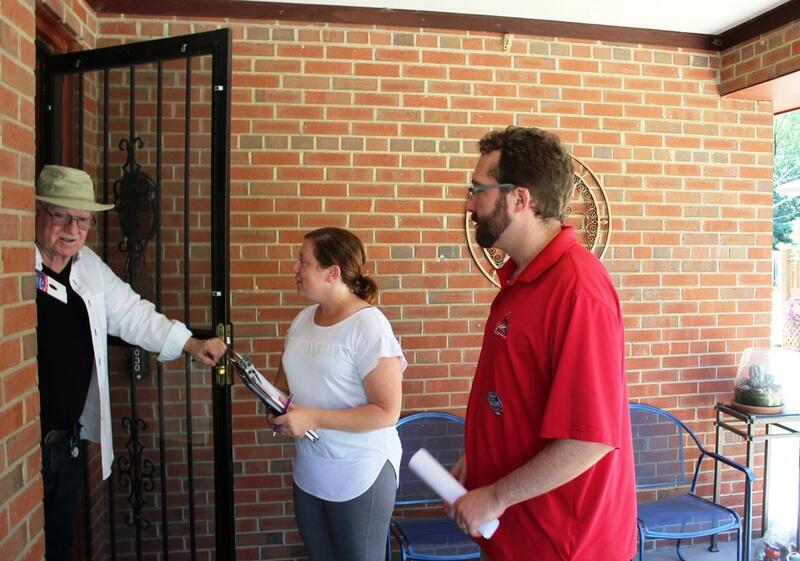 Matthew Carroll-Schmidt (in red shirt) campaigns for the committeeman seat in the 6th Ward with Alderwoman Christine Ingrassia on July 16, 2016. For committeeman, Mobilize Missouri endorsed Marty Murray over the incumbent Brian Wahby,who has held the post since 1993. It made no endorsement in the committeewoman race, though the incumbent is generally considered an ally of their endorsed candidates. For committeeman, Mobilize Missouri endorsed Tony Zebrowski over Paul Fehler. For committeewoman: It endorsed Annie Rice over Norah Ryan. There are no incumbents in this race. For committeeman, Mobilize Missouri backed Bryan Walsh, who is running uncontested. For committeewoman, it backed Sara Johnson over incumbent Patricia Ortmann, who is married to alderman Kenneth Ortmann. Max Cassilly, the son of City Museum founder Bob Cassilly, got the nod in his committeeman race against Robert Stelzer. For committeewoman, it endorsed Laura Hladky over incumbent Michele Klupe. Adam Kustra, a real estate developer, has the backing against incumbent committeeman Jake Hummel, who is also the state House minority leader. The progressive group backed Madeline Buthod for committeewoman against Laura Owens, the incumbent. There is no one challenging the incumbent committeeman. Mobilize Missouri supports Torrey Park, a close ally of Alderwoman Megan-Ellyia Green, for committeewoman. She has no opponents. It did not endorse in the committeeman race. Glenn Burleigh picked up the group's support in his race for committeeman against incumbent Dale Sweet. Committeewoman Kemata McCline also received an endorsement — one of two incumbents to do so. Abdul-Kaba Abdullah, who's running against incumbent James Keys, has Mobilize Missouri's nod in the race for 21st Ward committeeman. The incumbent committeewoman does not have a challenger. 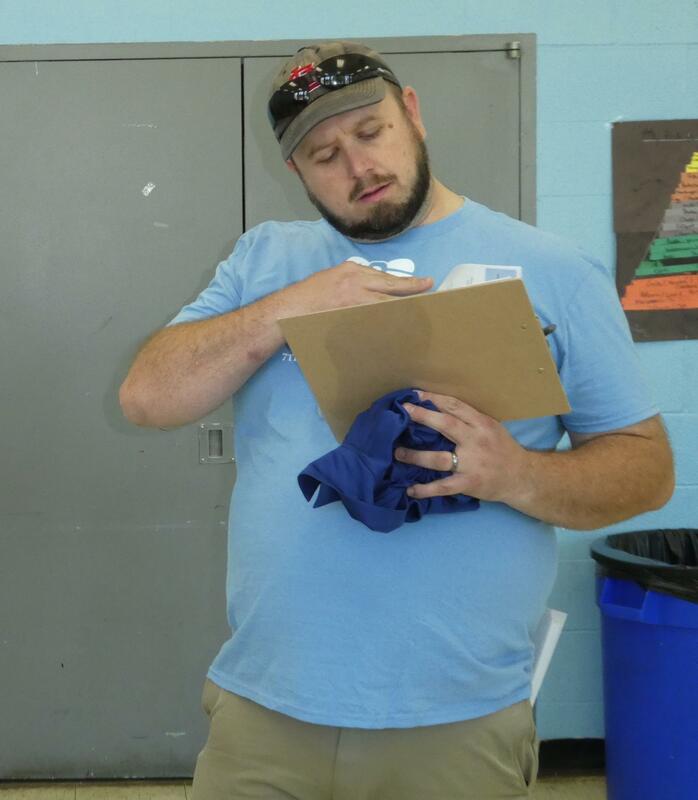 Tony Zebrowski, a candidate for 8th Ward committeeman, prepares to campaign for Marty Murray, an ally, on June 10, 2016. Anthony Brescia picked up the backing of Mobilize Missouri for committeeman of this ward south of Forest Park. He is running unopposed. It made no endorsement in the committeewoman race. Lori Lamprich is the second incumbent committeeperson to be endorsed by Mobilize Missouri. The group did not make any endorsement in the committeeman race. Rachel Johns, whose state House race was short-circuited by the Missouri Supreme Court, has the support of Mobilize Missouri for the committeewoman seat against incumbent Pamela Boyd. Chris Carter Sr. got the nod in the committeeman race. The self-proclaimed reformers are confident they'll win, but it will not be surprising if all or most of them lose. Races like committeemen and committeewomen are at the end of what may be a long ballot in some areas and are heavily influenced by other races that drive turnout.